Northern Territorian Tayla Thorn will play in front of her home crowd in Darwin on Saturday night. Thorn, 18, is one of two changes to the Crows team to play Melbourne at TIO Stadium. Forward Rachael Killian, who was a late withdrawal against the Brisbane Lions last weekend because of hamstring tightness, also returns to the side. The pair replaces midfielders Monique Hollick and Justine Mules, who is an emergency. Hollick, who is getting married on Friday, was unavailable for selection this week. Saturday night’s AFLW clash is a ‘home’ game for the Crows, who have nine NT-based players in their squad. It will be the second women’s match the Club has played in Darwin following the trial game against Fremantle in January. Crows co-captain Chelsea Randall headed to the Territory earlier in the week to train with her Darwin teammates and visit local schools. “This is our home away from home up in Darwin,” Randall said. With only two rounds to play, the second-placed Crows and fourth-ranked Demons are both in the hunt for an AFLW grand final berth, and will be keen to respond to Round Five losses. Randall, who has played exhibition games for the Dees in the past, said there was a strong resolve within the Crows team. “It’s amazing what a loss can do for a group, in bringing everyone together,” she said. “We understand that we need each other’s support at the time, and then just to move on. “We’re really focused on the Melbourne Demons this week. Channel 7 will broadcast Saturday night’s game live into Adelaide. Fans in other states can watch on 7Mate, Fox Footy or via the AFL App. Please check local guides for more information. Crows players will wear purple sweatbands at TIO Stadium as part of the celebrations for International Women’s Day. Purple is the official colour for IWD and gender equality. 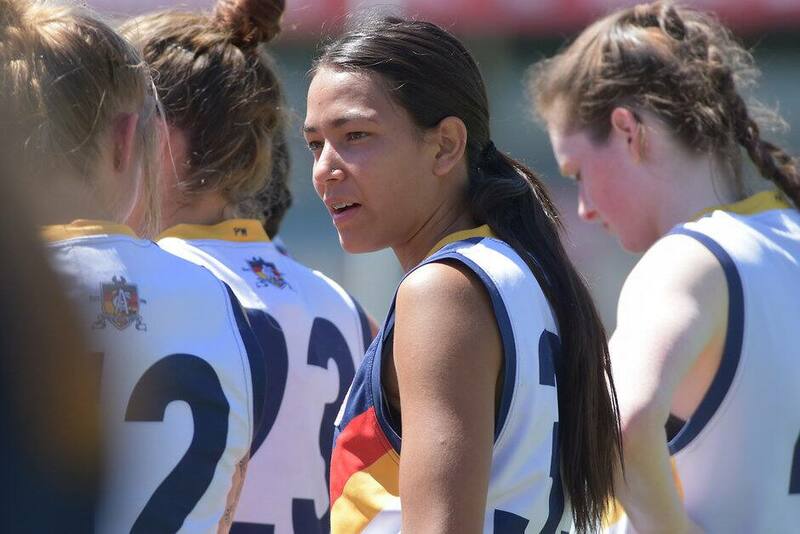 The women’s game, which starts at 6:40pm (SA time) will cap off a big Saturday off Crows footy. Adelaide’s SANFL team will play a trial against Sturt at Football Park from 10am followed by the Club’s final JLT Community Series clash with the Brisbane Lions from 3:40pm (local) at Noarlunga.